How To Pick A Hosting and What To Look For? People who run WordPress sites need help maintaining and hosting their info. This usually entails help from an expert. There are many professionals who provide people with hosting and maintenance services. This is what you need to know before picking a host for your WordPress page. Find experts who have a good reputation and who will make sure you feel safe in their hands. This includes being available to you at any time. It also means they take measures which will keep your information safe. This is one of the first services you will need – prevention of hacking into your site and your information. This can only be achieved if constant contact and checkups are maintained. Find a diligent host who will not let your site go under. This includes scanning and following up on any malware and suspicious activity. Preventing hacking is one of the most important features. However, a good hosting service should offer you a wide array of helpful solutions. For example, they should be really good at managing your site effortlessly. This is required because there is no room for rookie mistakes. It means that apart from being available, reliable, and skilled, they need to have experience. They should be able to offer you full maintenance, safety measures, 24/7 services, hosting, and overall WordPress website support. In order to truly understand how your WordPress site is working you need your host to test it. This includes testing the speed of your site, its content, searching for errors, and regularly updating. Really good hosting services will make sure to provide you with helpful information. Because you are not an expert you will need to know everything that goes on on your site. A good hosting service ought to provide you with useful information, such as, how to use SEO tools. SEO tools are there to help you discern which keywords are actually doing the job and which are not. Your site will remain as relevant as your keywords. WordPress premium hosting should include hosting done by real humans in real time. Anything which is done live and manually is to be considered a better job. Any automated or machine controlled job will be faulty. Every WordPress hosting service should be able to maintain your site in the long run. This means that the hosting services should include key factors like safety. What is more, the services should include more nitpicky issues such as details and errors. If details are overlooked you cannot be able to maintain a successful WordPress site. Any hosting experts who are not willing to put in the work and easily disregard the details of the page are not the people you are looking for. Professionals should be able to answer your questions, solve your problems, and keep up with your requests. 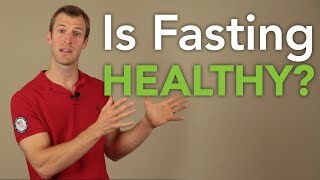 Is Fasting Good For Your Health?